Linux Mint 4.0: A Date with Daryna - Daryna is the code name of the newly released Linux Mint 4.0. It is based on Celena and is compatible with Ubuntu 7.10 and its repositories. It also utilizes the package base of Gutsy Gibbon. The fresh Mint 4.0 promises some major improvements in terms of usability. My date with Cassandra, the older version of Mint, turned out great. So, when I’ve heard that her younger sister Daryna has come out, I also wanted to get to know her well. Just a little fact, Linux Mint is ranked #6 in Distrowatch for several months already; a proof of its vast popularity. I got the Mint 4.0 LiveCD installer from here. The size of the ISO is only 689MB hence the download didn’t take long, and I get to load Daryna on my test machine without delay. The installation was smooth as silk. I didn’t add or pass any parameter options on the boot menu. Mint’s 7-steps Ubuntu installer is idiot-proof. Even an extreme Linux newbie can install Mint without difficulty. The installation was completed in less than 10 minutes and without a single snag. My hardware were properly detected from CD drive, audio, video, USB, and Ethernet. On the first boot just after logging in, I find it amusing that I was given an option to turn off the ‘fortune message’, a unique feature of Mint which displays humorous quotes every time you open a terminal. I didn’t turn it off. Daryna has a darker theme compared to Cassandra’s minty look. The images from grub, bootsplash, log-in menu, and default wallpaper are in the shades of black. But, the fabulous thing about Daryna is that its appearance can be easily changed to your own preferences. Thanks to its loads of included themes and wallpapers. There was an obvious improvement on Mint’s font because it now uses the Red Hat Liberation Fonts. To those who want some more awesome eye-candy, CompizFusion will take care of it as it is already pre-installed in Mint 4.0. But, a capable graphics card is needed in order for Compiz and its 3D effects to run properly. In addition, a graphical application called Envy will help you install the appropriate driver for your video card. Daryna is loaded with highly functional and valuable software applications out-of-the-box. I can say that it has everything a regular desktop user needs. To name a few applications, there’s OpenOffice, Gimp image editor, Firefox web browser, Amarok audio player and a lot more. Multimedia support were also installed by default. Hence, playing MP3, Flash videos and encrypted DVD’s will no longer be a problem. Handy tools for system configuration, Linux web servers, and networking were included as well. If you want to download additional software packages, Mint has its own software repository that you can easily utilize for free with the help of MintInstall. Plus, there’s a vast Ubuntu repo if you want some more. In Mint, software can also be downloaded, updated, installed or removed using the ever reliable Synaptic package manager. Mint 4.0 can be considered as stable for day-to-day computing tasks based on its ability to properly detect my hardware, and for its overall responsiveness and steadiness when opening and running several key applications. The only slight glitch I found was when my 19 inch monitor’s screen resolution was set to a high 1680x1050 at the start and after the install. But, I was able to easily and successfully change it to my proper screen resolution size. I can honestly say that Daryna is yet another successful distribution release of Mint. It is highly recommended for those who want a hassle-free Linux distribution because of its exceptional hardware and software support, ease-of-use, and ever growing online community that can provide some technical assistance. I can also recommend Mint 4.0 to newbies as it can be painlessly configured without even opening a Linux terminal emulator or touching the Linux terminal. As a final point, Daryna undoubtedly maintained or even improved Mint’s natural elegance. Nice review jun. Daryna is indeed an excellent distro. I have been using it since yesterday without having any trouble configuring my hardware and software that I need. I think I'm gonna be using it for a long time. Thanks. I agree with kyle. Daryna is a great distro. I like many of the things in it such as mintUpdate and definitely the art. It's art is probably the best of any distro. It's a pity you didn't talk about the new features and new tools. By the way, you're using the default wallpaper (1280x1024) on a wide-screen. Check the alternative wallpapers, you'll find the same one in widescreen format, it will make the desktop look much better. This is a good review considering its provides quick overview and specific in features, etc. All my hardware was detected and worked fine. Nice work mint team thank your a fine distro, also thank you Ubuntu. How well does it detect wireless cards? And USB headsets? 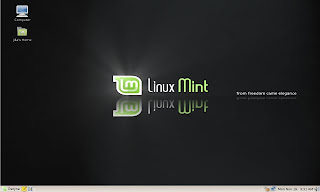 Linux, particularly Mint, is known to support different kinds of hardware configurations. So, I would assume that your Dell XPS will work just fine with Mint. But if it doesn’t, then you can always come back here to share to us your setbacks, and we will find ways to help you out. An excellent distribution - having tried and tested most of the newer packages, Daryna comes out top in my estimation and she has no trouble in finding all my hardware. I look forward to a 64bit version. Well done Clem - another Mint landmark! I think that Mint would detect dell hardware well because Dell is in co-operation with Canonical (company that sponsors Ubuntu). And since Mint is based upon Ubuntu, it would make sense that Mint would work well with Dell computers. What about thank-you D-e-b-i-a-n ? So now Mint Daryna is the latest,..and what a surprise,..CODECS FOR FREE !!!!!! The slab menu in Mint needs better designing, no facility to add extra menu's to it. The wallpapers a bid too abstract and glaring on the eyes. The text in the green theme wallpapers way to big. I'm running Daryna at the moment on my Packard Bell laptop, Celeron M 1.3Ghz processor, 1GB RAM, onboard videocard and have to say it looks and runs amazing. A few months ago i tried Cassandra and was impressed. After testing some other distro's i returned to the latest Ubuntu release 7.10 Gutsy Gibbon but i'm very disappointed about it. To many bugs in it even after the updates, so i downloaded Daryna two days ago and i think i stay with Linux Mint since i didn't run into any problem yet. They did a great job here, seems more stable than Ubuntu itself (i know Mint is based on it). Thanks for the review. But it would be nice to hear and see more reviews about testing linux less powerful Pc's/Laptops. i got the chance with cassandra and had good experience. Haven't tried daryna yet but i guess it surely is better.IMO Linux Mint surely is one of the best Ubuntu derivative distro out there. I have been searching for an alternative desktop for Window$ users for some time and have tested hundreds of Linux distros. Mint is THE BEST!!! Keep up the great work. For BSD fans, PC-BSD is the only choice.